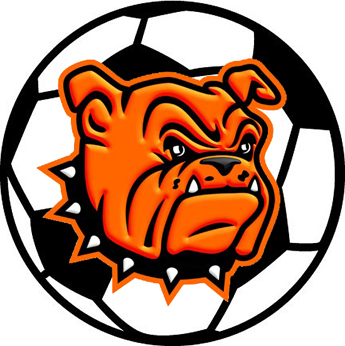 For one half of soccer Tuesday in Hobbs, the Bulldogs had battled it out with the Class 6A Eagles. And down by just a goal at the break, the team was chomping at the bit to see what they could do against the boys in black and gold in the final 40 minutes. Unfortunately, they didn’t get the chance. Lightning delays eventually became too plentiful to overcome in Lea County, and with the two teams unsure they’d be able to find space in their schedules to finish the game at another time, the halftime score stood, 2-1 in Hobbs’ favor. “I know that the boys were really disappointed they didn’t get to go back out there and try to beat them,” head coach Phillip Jowers said today. “It was hard, because they wanted it, and they were ready to get after them. But it is what it is. The lightning had interfered with the preceding JV game, as well, which was cut short in order to let the varsities start on time. The Eagles drew first blood in the opening half, scoring at the 18-minute mark, but the ‘Dogs needed just five minutes to respond on a goal by Cesar Leyva off the assist from Carlos Martinez. Unfortunately, the Eagles were able to slip a second goal through with just three minutes left in the half. “That was really a bummer for us, because if we hadn’t let them get that last one, it would’ve gone down as a tie,” said Jowers. Regardless of the dissatisfying finish, Jowers said his athletes’ progress was clear against a team that routinely mercy-ruled Artesia in the past. The boys will head south for Part I of soccer’s Eddy County War Thursday, taking on the Class 6A Cavemen (0-1) at 6 p.m. Carlsbad fell to Roswell High 5-4 in its season opener Tuesday on the road.